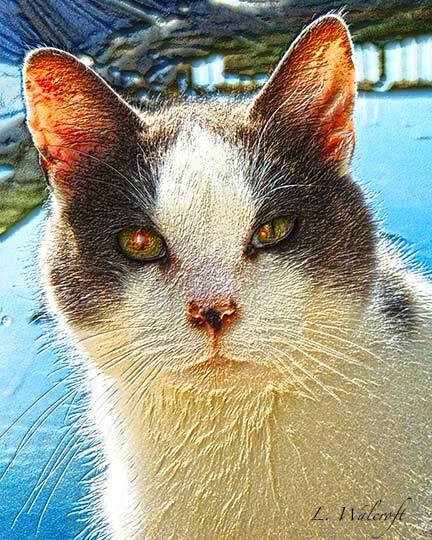 I don't have any groundhogs to show you today, but I have some bird pictures and a cat. 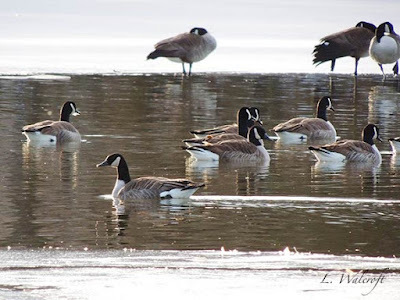 We'll start with some Canada Geese. They don't seem to mind the ice on the lake. I hope my posts aren't starting to repeat themselves like Bill Murray's experiences in "Groundhog Day." Hmm... maybe I'll get it right and break the pattern! Meanwhile, I have some little friends for Saturday Critters and I'd Rather Be Birdin'. In the tree is a junco and a cardinal; on the snow are a couple of blue jays. 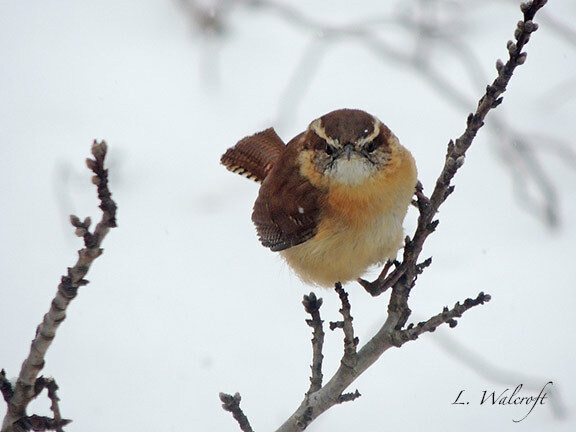 Below is a Carolina Wren who seems to have spotted me through the window. The Caturday linkup gives me an excuse to play around in Photoshop. I don't own a cat, but neighborhood felines wander around and occasionally pose for me. I used some filters on this, plus layer-merging variations. Awww, first the kitty (purrfect!) And now your birds. Love 'em all, but the blue jays & wren I favor! Thank you very much for joining us this weekend at I'd Rather B Birdin' and sharing your birding experiences! Hello, love all the birds. 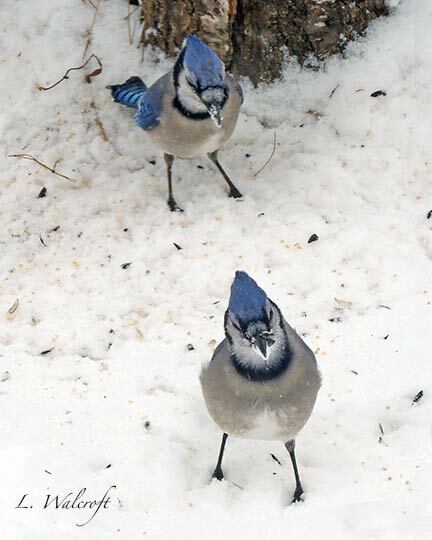 One of my favorites is the two jays together. Sweet kitty and a beat Caturday photo. Thank you for linking up and sharing your post. Happy Sunday, enjoy your day, have a great new week ahead. PS, thanks for leaving me a comment. Poor kitty, you've given her a gleam of naughtiness in her eye! But she is pretty. My fav today is the little wren. The kitty’s fur looks so soft, I feel like I could touch it and it would feel like the real thing. 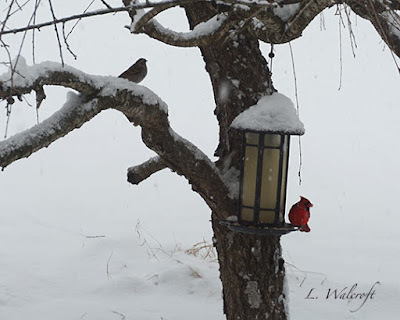 ... Goodness those birds are hardy, they seem to be enjoying the snow and cold. And staying beautiful through it all! I like the bird photos, the blue jays seem to be looking right at you along with the Carolina Wren. Nice work on the cat, I like that. Great pictures! I love the one of the blue jays.